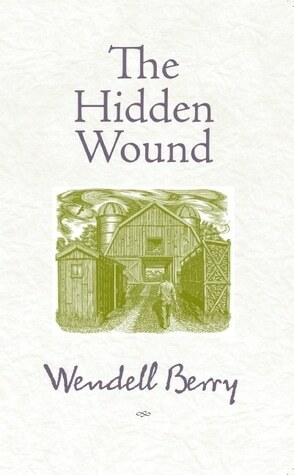 In 1968, Wendell Berry wrote The Hidden Wound — a fascinating look at U.S. racism and its connection to land and work from this incredible environmentalist who grew up in a family that still remembered owning slaves. I’ve been trying to get my head around the way that the current terrifying onslaught of policies of hate and fear are so closely tied to Christianity — and yes I know Crusades and witch burnings and pogroms and the Inquisition and… I know. But this helped explain the particular moment we are in as Americans better than anything I’ve read in while from a point of view that I don’t often read. This damage now erupted brutally into the open keeps me up at night. I think current events have been ripping the covers off, revealing the fruit of this. Berry also shares thoughts on language, how this double nature existed there too and shaped the words people used, how they thought. This is a process deeply rooted in history, in the origins of the country, in the ways that whites sought to take what was not theirs, and then to force others to work on it. It involves recognizing the crimes against native peoples, and in all humility learning from them. It involves recognising the humanity of all. As soon as we have filled the hollow in our culture, the silence in our speech, with the fully realized humanity of the black man–and it follows, of the American Indian–then there will appear over the horizon of our consciousness another figure as well: that of the American white man, our own humanity, lost to us these three and a half centuries, the time of all our life on this continent. There is no safety in belonging to the select few… If we are looking for insurance against want and oppression, we will find it only in our neighbors’ prosperity and goodwill and, beyond that, in the good health of our worldly places, our homelands. If we were sincerely looking for a place of safety, for real security and success, then we would begin to turn to our communities – and not the communities simply of our human neighbors but also of the water, earth, and air, the plants and animals, all the creatures with whom our local life is shared. We would be looking too for another another kind of freedom. Our present idea of freedom is only the freedom to do as we please…But that is a freedom dependent upon affluence, which is in turn dependent upon the rapid consumption of exhaustible supplies. The other kind of freedom is the freedom to take care of ourselves and each other. The freedom of affluence opposes and contradicts the freedom of community life. Thank you for this thoughtful overview of Berry’s powerful essay. I love having good reviews to forward to friends when recommending The Hidden Wound. Thank you! This made my morning!